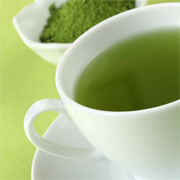 Instant Green Tea powder very conveniently dissolves immediately in either hot or cold water with gentle stirring. The light green clear liquid tastes very similar to a slightly roasted Sencha loose leaf tea. 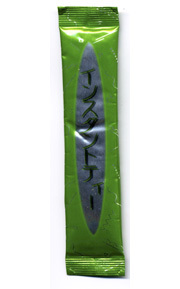 Each serving is 100% Shizuoka green tea powder packed in a handy stick foil packet that is ideal for use at home, work or on-the-go. Purchase 100 Instant Green Tea handy stick packets without the box and save 20%. Each tea powder serving is individually packaged in a foil wrapper to insure freshness. Packed in a cellophane bag for convenient storage.